The Best Horseradish Products Start with the Best Roots! 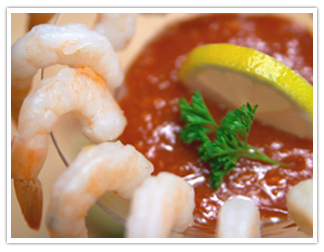 Seminole Foods is an industry leader in the production of fresh ground horseradish and specialty sauces. Our traditional family philosophy has always been to provide high quality products at a fair price. For decades the Seminole family has maintained long term relationships with the top growers of horseradish roots in the country. These relationships, specialized formulation processes, and state-of-the-art manufacturing & distribution facilities allow us to maintain the highest level of quality, freshness and service standards in the industry. Our processes maintain the crisp clean natural taste and aroma of the fresh ground horseradish roots. We use no fillers, thickeners, or preservatives in our branded pure horseradish products. We consistently process only the best roots available and use no bleaching agents or sulfites. Taste, texture and freshness are key to all Seminole products. Products are processed for shipment when the order is placed. This “just in time” inventory practice insures that only the freshest products deliver to our customers. Seminole serves the Retail, Foodservice, Commercial, and Private Label industries, offering customized label and packaging design. Whatever your needs, the Seminole team will do whatever it takes to provide the quality & service expected from an industry leader.